... there's not enough of them! How about an open invitation for the submission of screenshots which would make a perfect addition to the archives alongside cover scans and the like ... ? just gotta resurrect this one!!! Email me your Droid ones and I'll use them to start? y'reckon? Lost the link to the Snapshots, these are for in the BeebEm emulator, the save state thing (not actual pics). 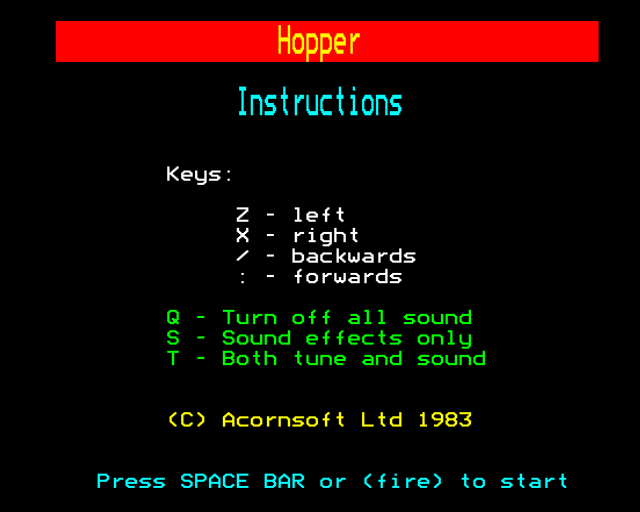 Why not start a Filckr group for screenshots of old BBC games? I suspect most people use Flickr these days and the tagging of the photos will help find the games... just an idea - what do you think? Beats me, never heard of it, perhaps we're in the minority of none users. Just did a google, appears to be an online photo hosting site but didn't click the link to go to their home page. Hey, if anyone wants to volunteer to take some screenies for use on the site that's fine by me! 4. If games have decent Loading Screens and/or Title Screens, take grabs of these too! 6a. For Mode 7 screenshots, ensure 'Buffer in Video RAM' is turned on (so you get an authentic/smoothed font). 6b. 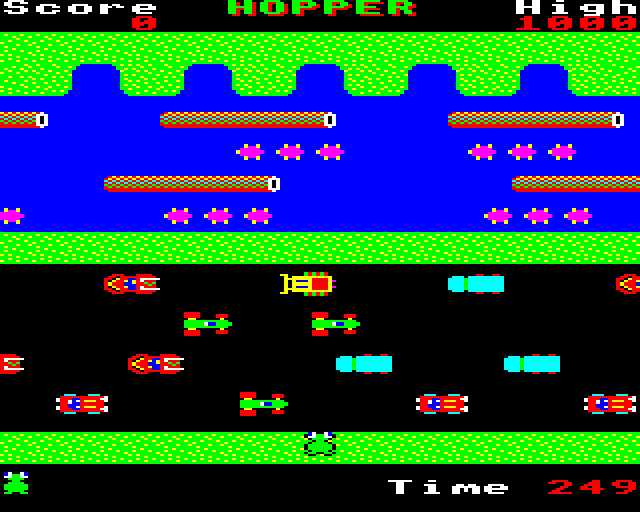 For non-Mode 7 screenshots, ensure 'Buffer in Video RAM' is turned off (so the image is 8-colours max). Would your idea be to have a thumbnail image next to listed games on the website and clicking could bring up a screenshot(s) of the game in action. With the new database search this could be feasible (would have been a pain and increased page display time too much on old system). You don't need to have all the images in folders on the web site all called certain names either (to aid retrieval), if your search is now database drivern with MySQL/PHP then the images could be stored in there in blob fields and pulled out by php/mysql for display. Of course if you don't want them stored in the DB itself you can just store a filepath in the record for a game in the DB itself and pull them out that way. Possibly better this way as if you want to take regular DB backups as could take some time with all those blobs in there. sorvad wrote: Beats me, never heard of it, perhaps we're in the minority of none users. Yeah, Flickr is one of the better online photo hosting services. It's free to upload 20MB of pictures a month and the tagging mechanism in it is just superb (similar to del.icio.us if you've ever used that). You can create groups within it to share and submit photos (it just links to your particular photo that you share in that group). I just suggested it because I thought "images, now they tend to be big" and was worried about Dave's hosting costs spiralling out of control? You can link to pictures easily on flickr without hosting them on your own server. It was just a thought - if Dave's happy to host them then that's fine. Also, agree with all this talk of game pictures. I like Dr Beeb's efforts at http://www.bbcmicrogames.com/. I always thought it was a shame he didn't put more up. Thanks Col , downloaded it, give it a go soon. This may be a daft question... but, what program should I be using to play that file...? I made it using BeebEM 3.2, but I think that it probably requires the disc image with Ricochet on. [Checked] It needs to load the file RICDIM6. Unfortunately, I've tried it with the archived version and it gives me an error (although not a complete crash!). I'll sort out the disk image to upload too, which means that the snapshot is redundant, since the game + view ending sequence cheat can be loaded from the image! I've noticed there are screen shots for Electron games, but not for BBC. Having pages with a good number of screens from various games is useful when you are trying to identify an old game.